Roughly one hundred pedestrians are struck by motor vehicles every year on the Big Island, causing serious injuries and dozens of fatalities. The increased use of mobile phones for texting and countless other distracting activities has increased the number of both distracted drivers and pedestrians. Motorists and pedestrians alike need to make sure their primary focus is on the road and the traffic around them. As a Hilo personal injury attorney with over 25 years of experience, Louis Mendonca is familiar with the challenges of pedestrian accident claims. 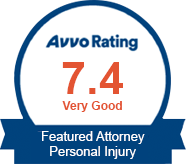 He knows how to build and present a strong case to help accident victims get the compensation they desperately need to deal with the serious and sometimes life-long injuries they have received. A handful of traffic laws in Hawaii specifically address pedestrians. These laws mostly favor pedestrians with the right-of-way and are written for pedestrian safety. Pedestrians are required by law to use sidewalks where available. If there are no sidewalks, Hawaii law directs pedestrians to walk in the direction facing traffic as far to the left of the roadway as practicable or on the shoulder. Pedestrians are also allowed to use bicycle lanes where there are no paved sidewalks, and cyclists are supposed to yield the right-of-way to pedestrians in the bicycle lane. In areas where bicycles are allowed to ride on sidewalks, bicyclists there too must yield to pedestrians. Pedestrians are required to cross the street using marked crosswalks wherever they are available. It may be surprising to learn that most pedestrian accidents actually occur in crosswalks, but this is most likely due to the fact that most pedestrians use crosswalks, so statistically accidents there are more likely. Despite the statistics, crosswalks are still the safest and most appropriate place for pedestrians to cross the street. Accidents in crosswalks are most often caused by driver negligence, and those negligent drivers can be held liable for the damages caused. A pedestrian crossing in the middle of the street, on the other hand, may be considered partially negligent and responsible for the accident, even if the driver was also speeding, distracted or otherwise negligent. A pedestrian who is found to be more than 50% at fault will not be able to recover compensation from a negligent driver. Where there is no crosswalk available or where pedestrians are crossing in the middle of the street, pedestrian accidents occur when a car does in fact slow down or stop for the pedestrian, but a driver in a trailing vehicle does not know why the driver ahead is stopping and recklessly whips around the slower vehicle, striking the pedestrian. Pedestrians walking along the side of the road also face danger from negligent or distracted drivers, and especially from drunk drivers who fail to notice pedestrians on the roadway at night. Pedestrians who are injured by a motor vehicle should look first to the at-fault driver for compensation, but they may also be able to access their no-fault PIP insurance as well. Families of persons who are killed in pedestrian accidents may also bring a wrongful death action against the negligent driver. 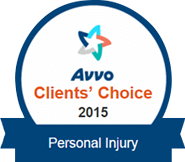 Pedestrian accidents often cause serious injuries that are permanent and debilitating. Pedestrian accident victims and their families should be careful not to accept a quick settlement offer from an insurance company but instead should talk to an experienced personal injury attorney first. Accident victims may not fully appreciate the extent of their injuries and the costs they will face over their lifetime, but a knowledgeable pedestrian accident lawyer will know how to appropriately value your claim and ensure that you are being treated fairly by the insurance company and get the maximum compensation you are entitled to. As a pedestrian, put away your cell phone while you are walking, and always keep an eye out for oncoming vehicles, whether you are walking along the roadway or crossing at a marked crosswalk. While pedestrians may have the right-of-way, they are never the winner in a collision with a motor vehicle. If you or a loved one has been injured or worse in a Hawaii pedestrian accident, contact Louis P. Mendonca, Attorney at Law for a free consultation, in Hilo at 808-961-6690.